Workshops in Birdsong Studio are a meditative and creative experience. Limited to six people, these three hours are an exploration in drawing and colour hosted by Russell Thomas. A subject is revealed and all the participants and the host begin to create absolutely unique pieces of art. 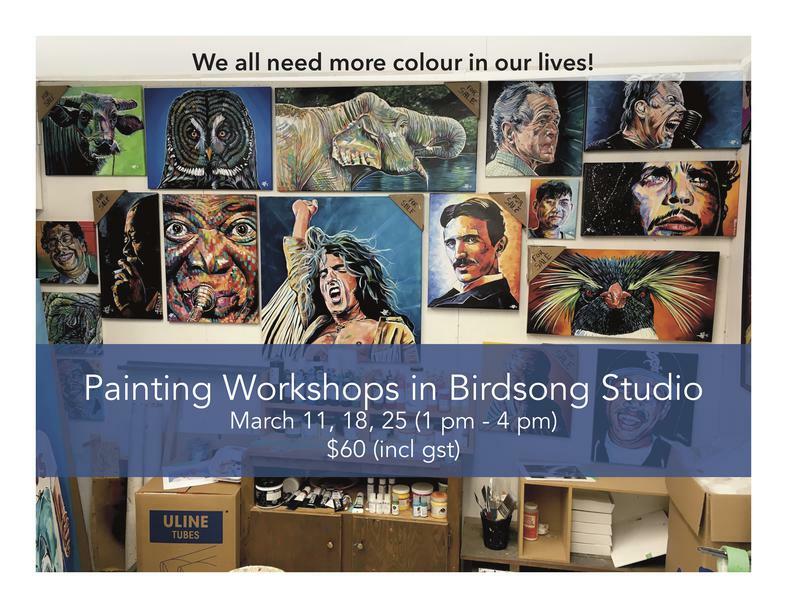 Birdsong Studio is located at 114 Demers Drive. Park on the street in front of the house and come around the left side of the house to the backyard. The studio is a separate building out back. The cost is $60 which includes all supplies and gst. All you have to do is show up. After you sign up, you will receive an invoice via email. You will have a number of different options for payment, including e-transfer, credit card, or cash (on the day of the workshop). "There are no mistakes in painting."